Motorcycle riders from around the world enthusiastically joined members of the Harley Owners Group (HOG) on June 23 and 24 to shatter last year’s record mileage total for the Harley-Davidson World Ride by collectively logging more than 10 million miles, a 28 percent increase over the 2012 total. Launched in 2008 as HOG’s Million Mile Monday, the annual event was expanded into the two-day Harley-Davidson World Ride in 2012 to give more riders worldwide an opportunity to participate. In 2012, participants logged 7,799,140 miles, but this year as riders celebrated the 110th Anniversary of Harley-Davidson Motor Company and the 30th Anniversary of HOG that culminates this Labor Day weekend in Milwaukee, they blitzed that record by more than 25 percent, tallying an official total of 10,018,231 miles. Riders logged their miles solo, in groups large and small, and through a variety of dealer-led events around the world. Every mile ridden by participants in this year’s Harley-Davidson World Ride was logged by the online mileage accumulator, where a rolling odometer recorded the collective distance traveled by all participants in the World Ride in real time as entries were added. Each participant was able to download a commemorative certificate of participation with his or her mileage total for the day. 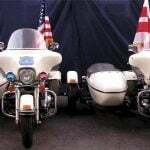 For more information about the Harley Owners Group and the 30th anniversary of HOG, visit www.HOG.com. 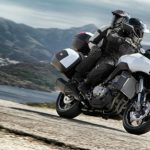 EICMA 2011: Kawasaki Versys 1000 Not Coming to U.S.